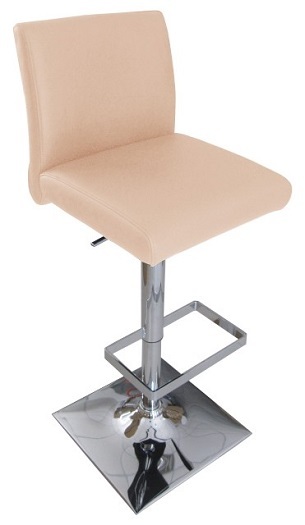 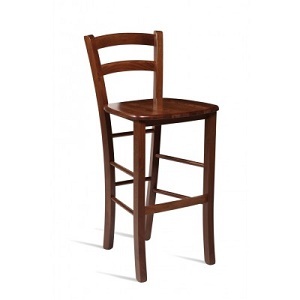 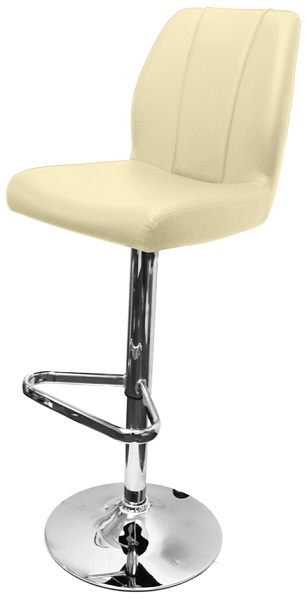 Comfortable and sturdy solid beech fixed height Bar Stool. 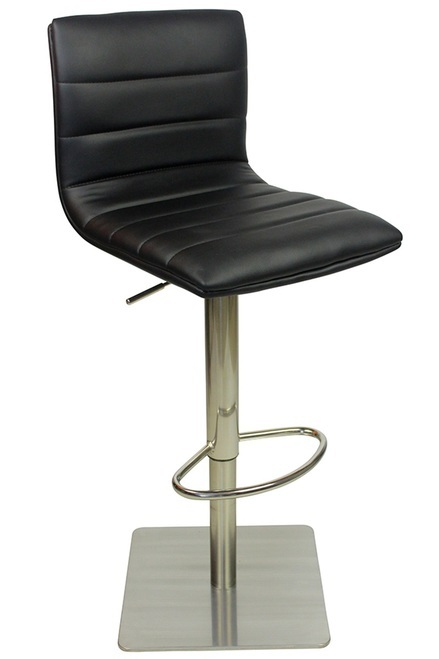 Finished in a rich wenge colour. 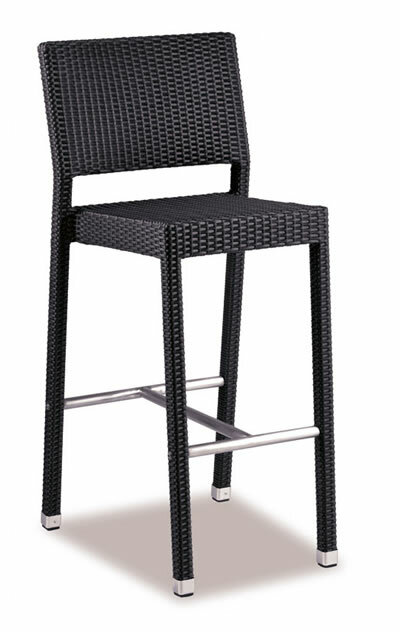 Brought to you in an enticing cappuccino solana weave that is virtually maintenance free, weather-resistant and extremely durable and is built for comfort. 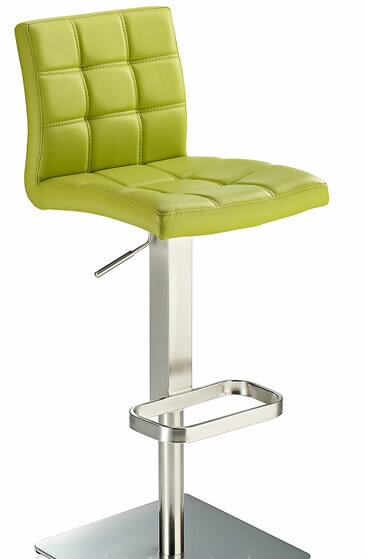 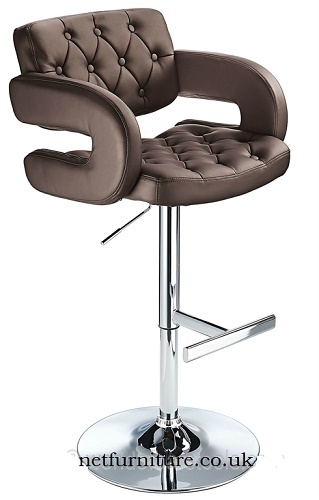 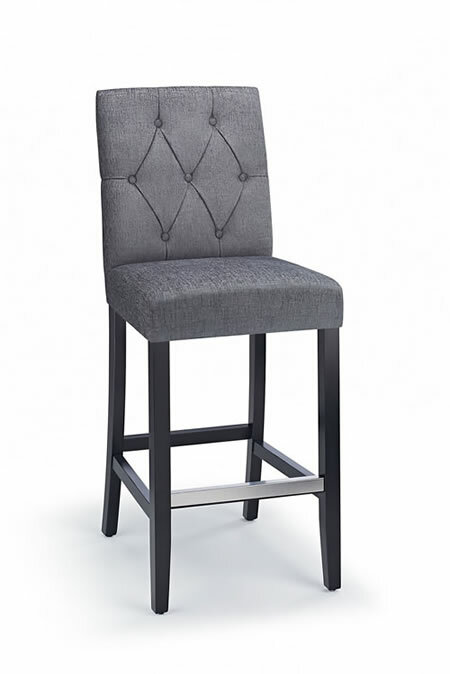 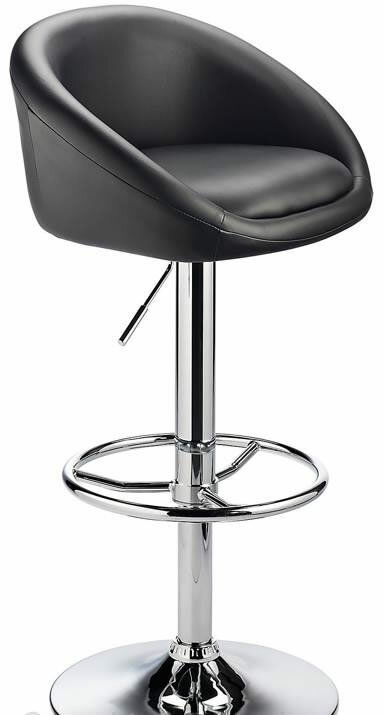 Style and practicality in the same bar stool. 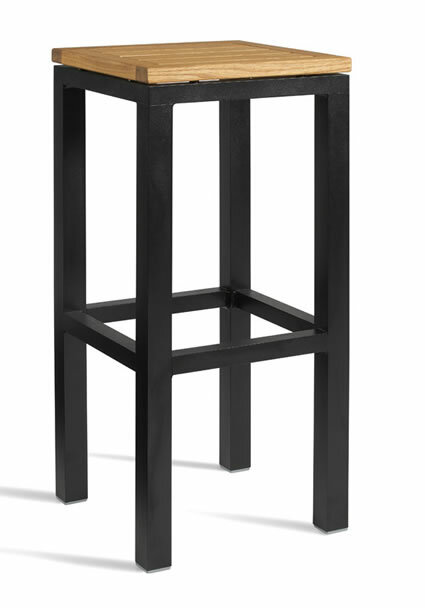 This high stool is made from steel powder coated black with a timber seat. 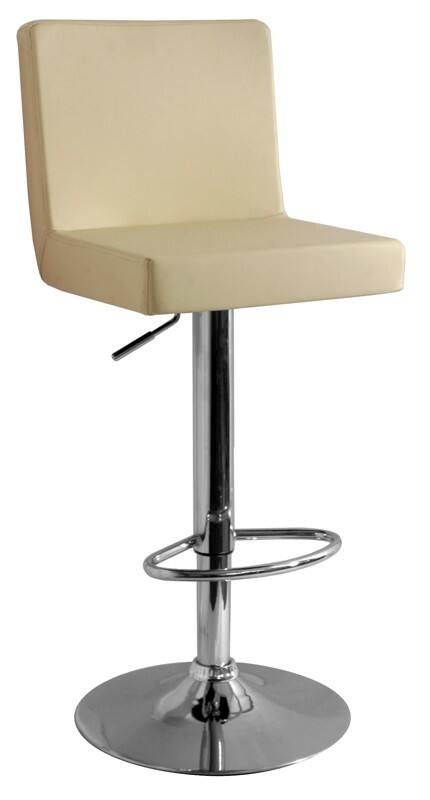 Commercial quality and is perfect for any outdoor setting. 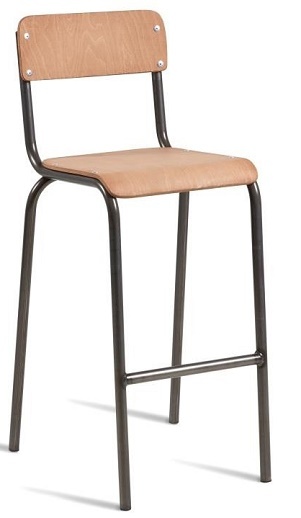 A vintage style stacking school chair with lacquered tubular steel frame which can be powder coated to any colour. 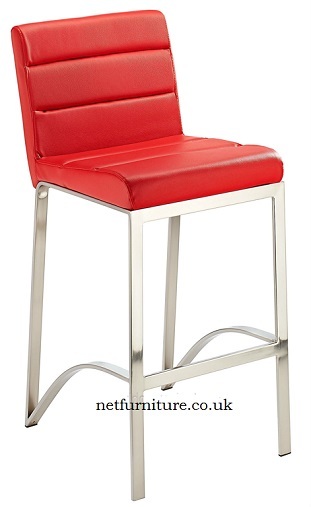 The seat and back are manufactured from raw ply and can be stained to specification of your choice. 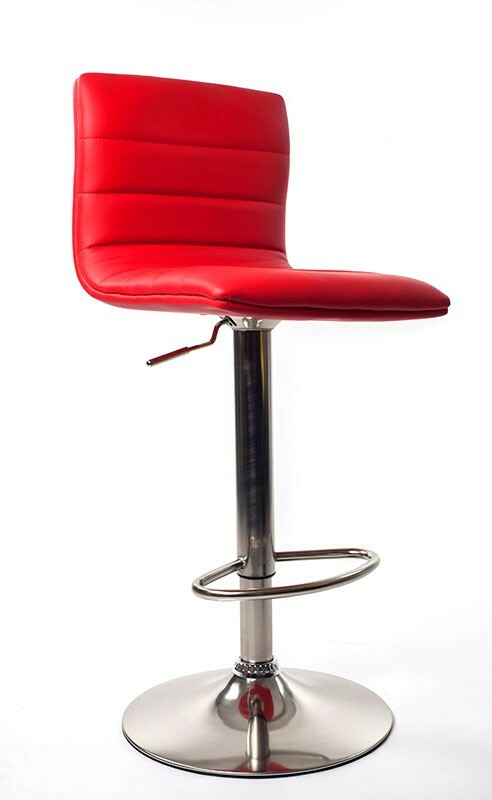 Contact the sales team for powder coating and finishing prices. 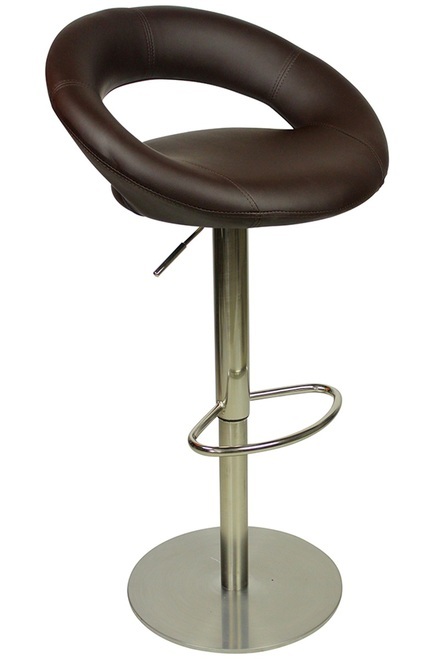 Extremely comfortable solid beech barstool stained to a rich dark oak with seat and back fully upholstered in a high quality faux leather. 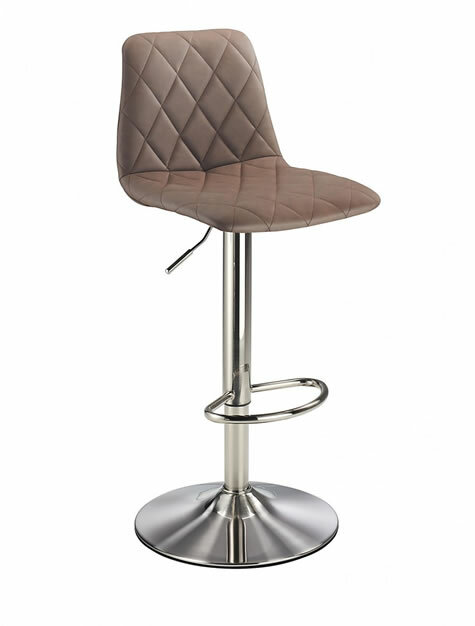 Combining classic and contemporary design, this bar stool is ideal for bringing a touch of style to your bar or kitchen area. 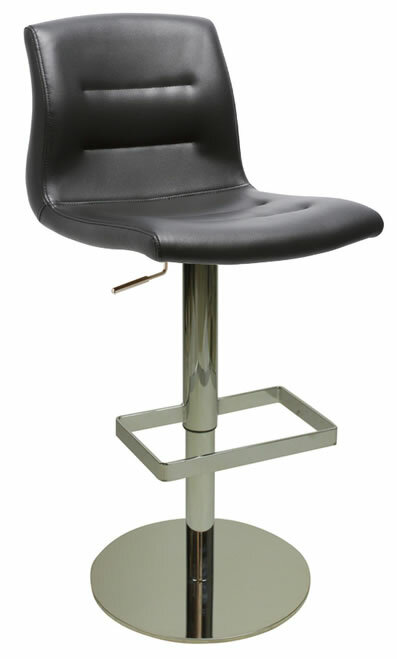 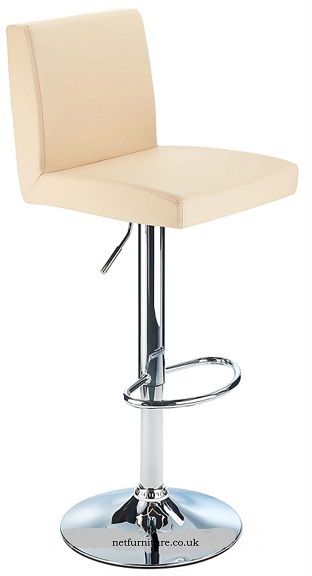 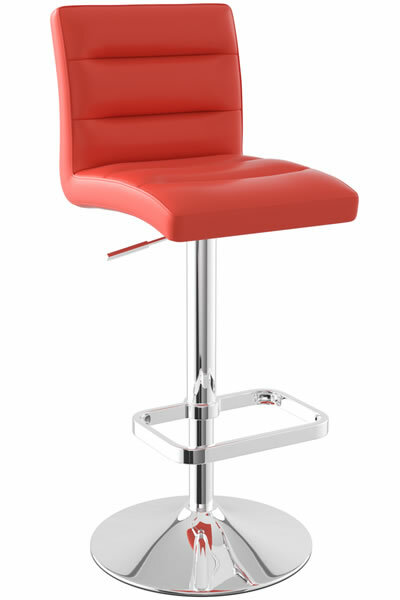 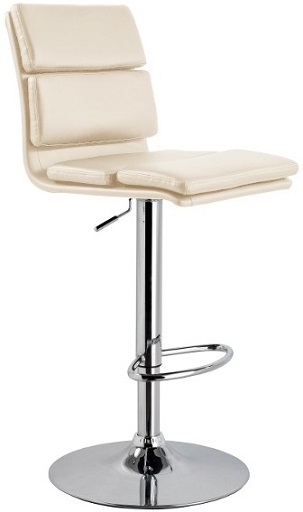 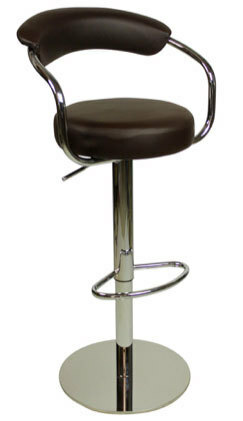 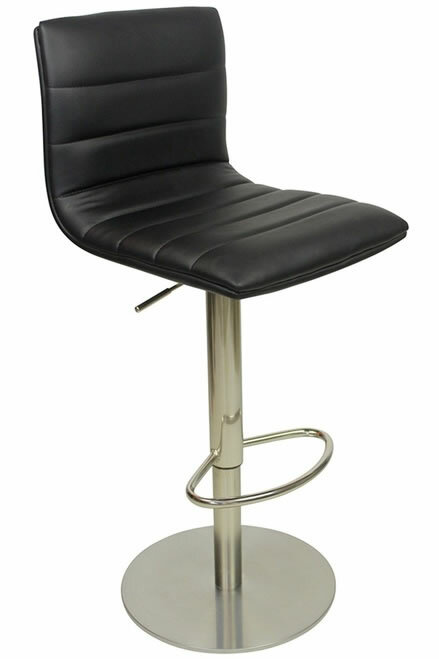 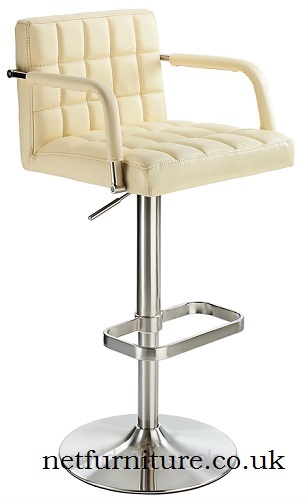 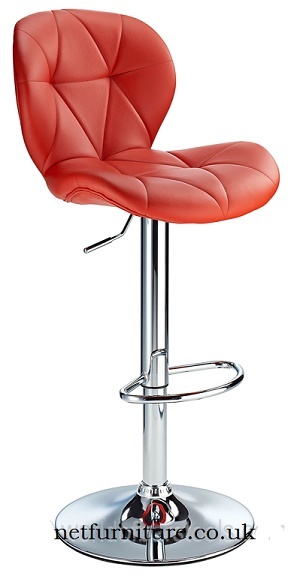 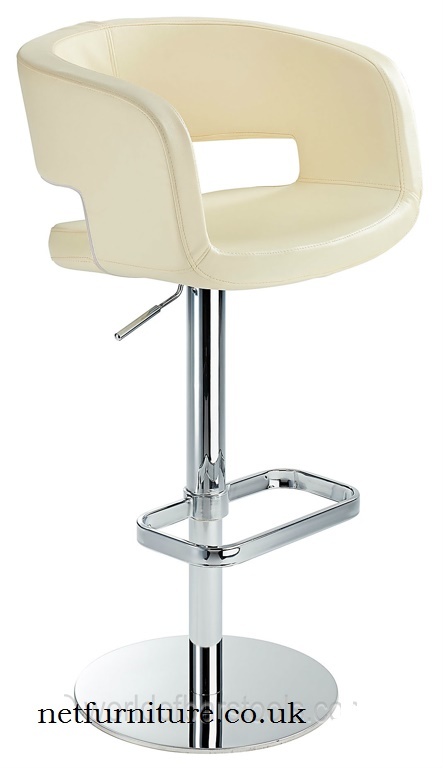 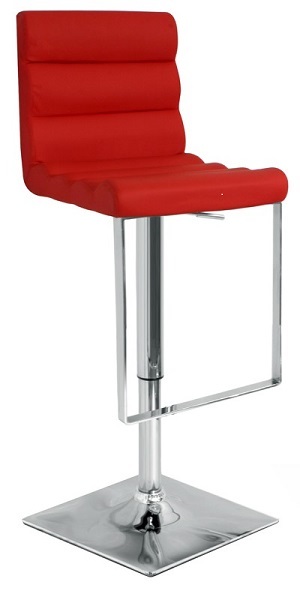 This fixed height bar stool is suitable for commercial placement making it an ideal choice for a bar, club or restaurant. 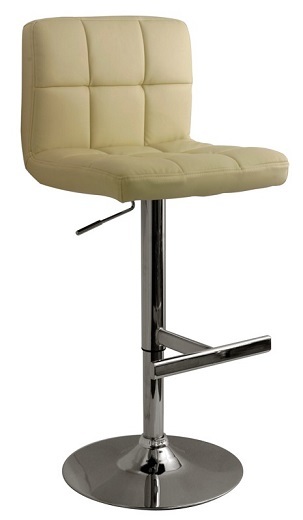 The Flair also offers a comfortable and stylish perch for a home bar, game room or breakfast bar at home. 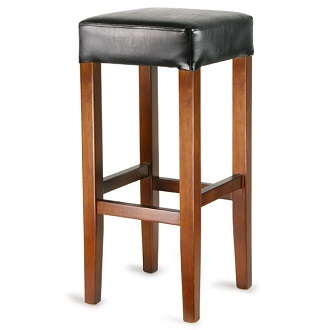 This stool features a sleek faux-leather upholstered cushion seat top for comfort, and is finished with a sophisticated four-leg Lacebark Elm base with a foot rest. 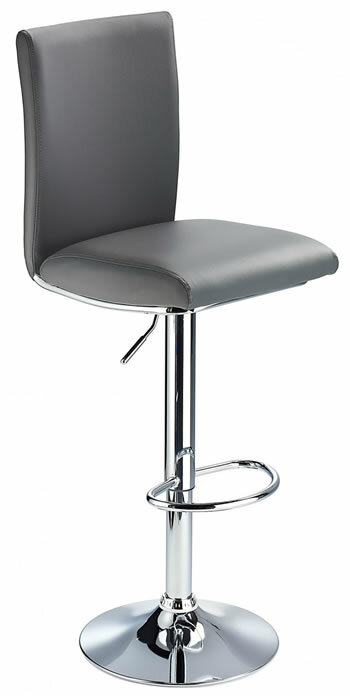 Modern simplistic stool that will look great with many types of kitchens. 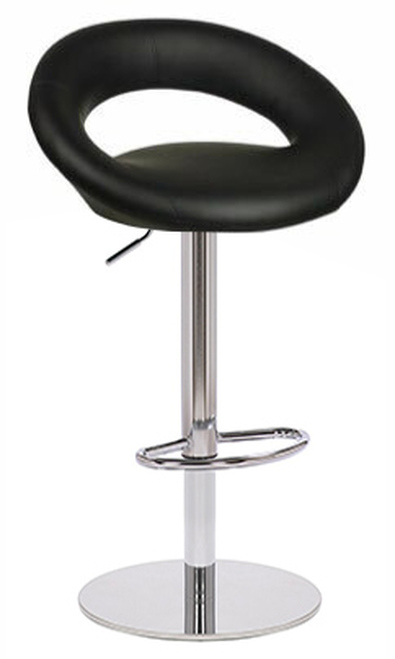 The seat top includes a back rest to offer you support and both the seat and backrest have a great amount of padding. 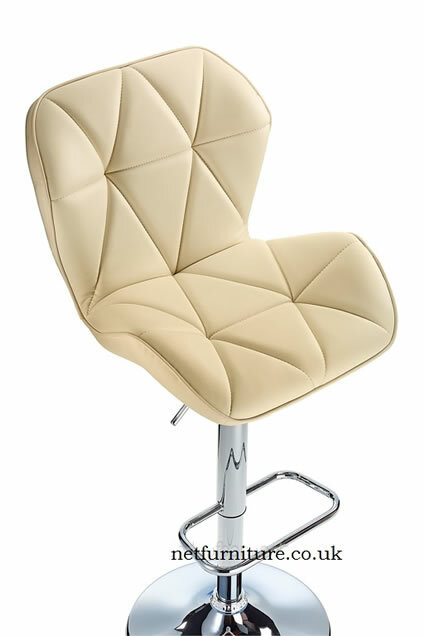 The seat is made of faux leather. 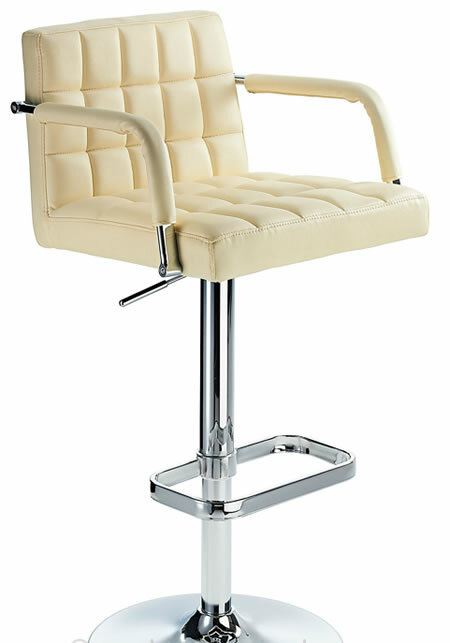 The chrome framework is of superior quality and includes an upgraded gas lift and a cast iron weighted base. 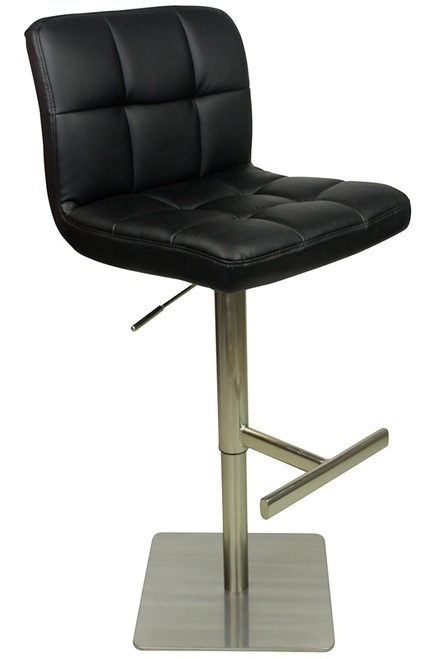 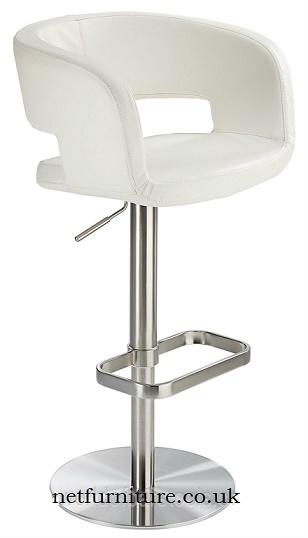 The Soren kitchen bar stool has an adjustable gas lift swivel system, foot-rest and back rest that offers good support for the lower back. 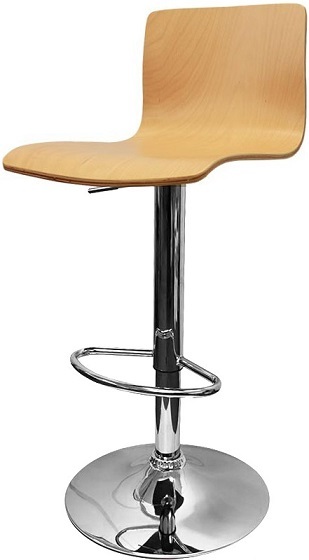 The soren also comes with floor protection on the bottom of the base to help prevent scratches and dents being transferred to the floor surface. 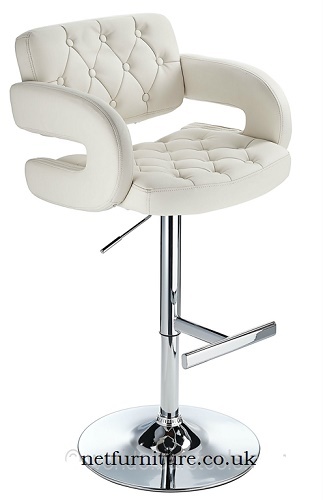 Ultimate comfort and minimalist design. 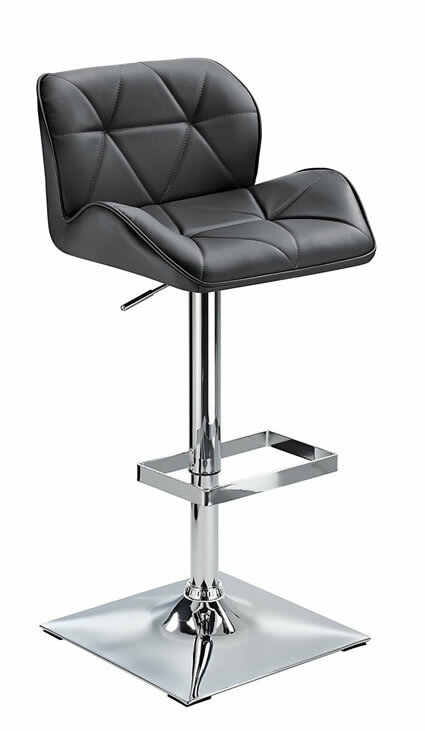 The premium, chequered faux leather prolongs durability and ease of maintenance to the seat top, supported by the stainless steel chrome effect stand and weighted base for style and stability. 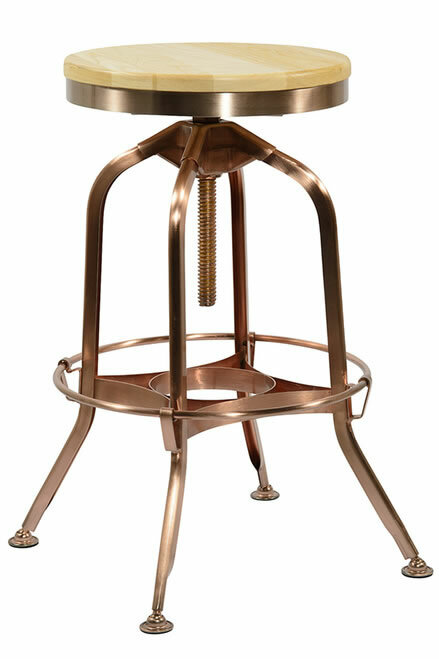 The Busora has a circular seat top that comes in a lovely natural wood finish which compliments the on trend copper framework to create a beautiful striking look. 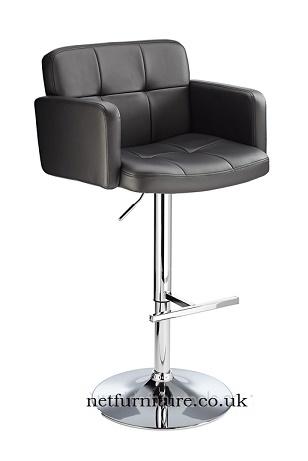 Features also include a lockable screw thread for adjustable height from 640-740mm and 360-degree swivel. 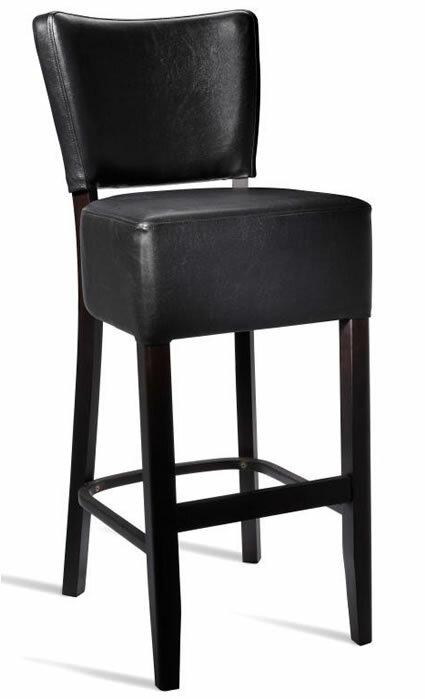 Perfect for tucking under your bar after use or wherever you may choose to put it. 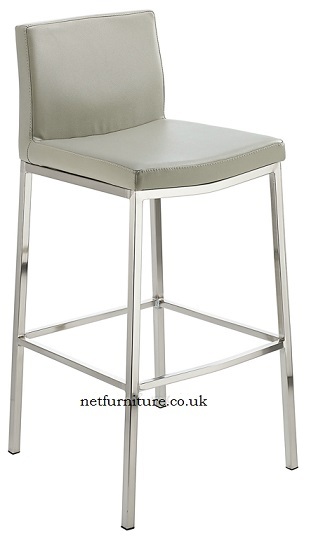 The stool features a fantastic metal frame that is simplistic yet striking in design. 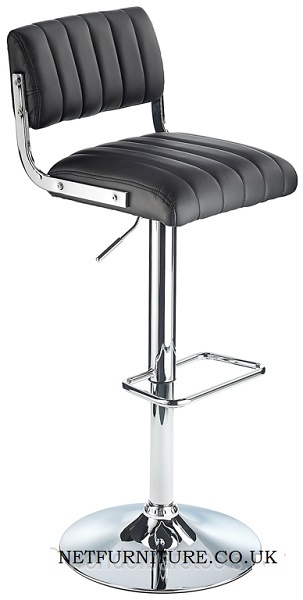 The frame is made up of four legs giving you a very stable seat, whilst footrests allow you the comfort of taking the weight off after a long day. 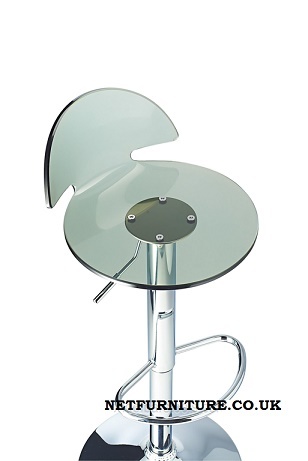 Each leg is finished with a plastic floor protector. 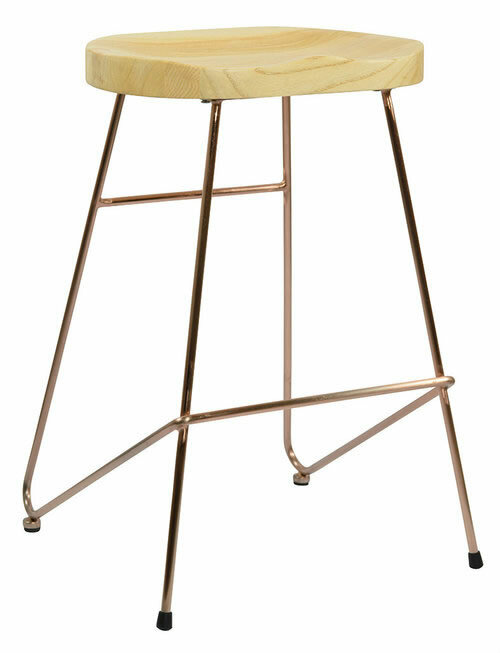 The Busorat has a circular seat top that comes in a lovely natural wood finish which contrasts beautifully with the metal framework to create a natural rustic appearance. 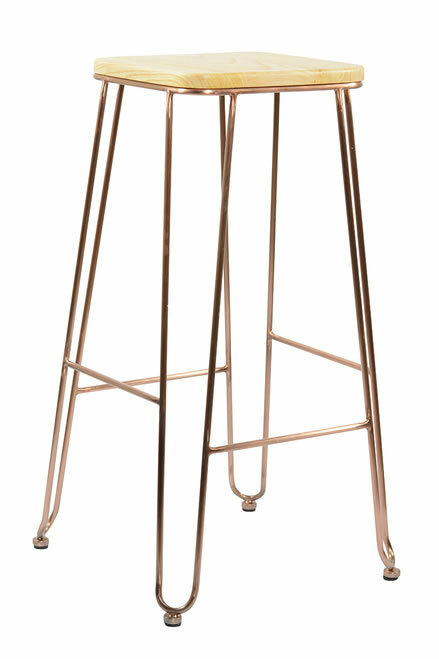 The stools feature hairpin inspired curved legs to give the copper frame a look that is simple yet stunning. 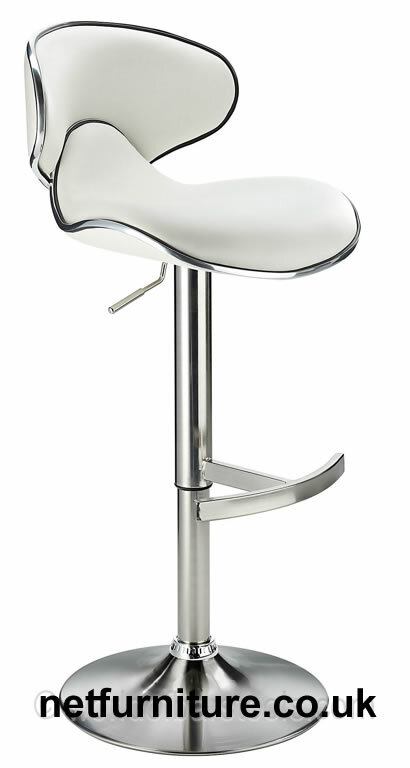 The frame is made up of four legs giving you a very stable seat. 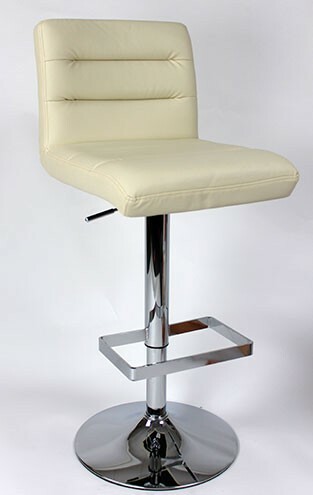 Each leg is finished with a plastic floor protector. 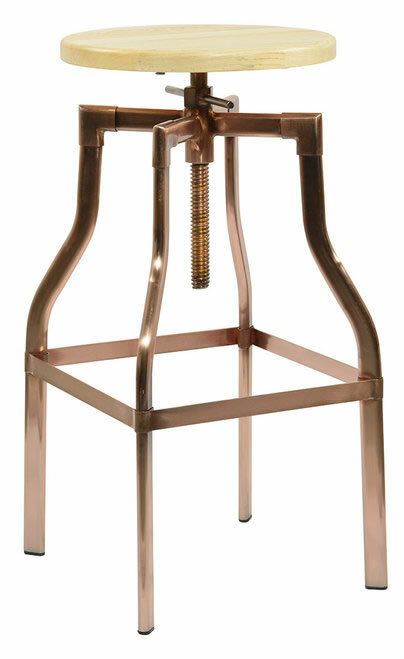 The Arzi has a square seat top with rounded corners that comes in a lovely natural wood finish which compliments the beautiful copper metal framework to create a beautiful vintage look. 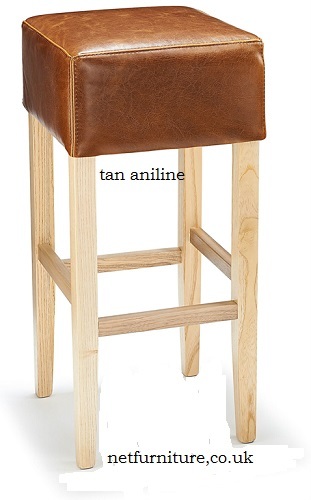 A chunky natural wood seat and fine copper frame give this stool a look that is simply stunning. 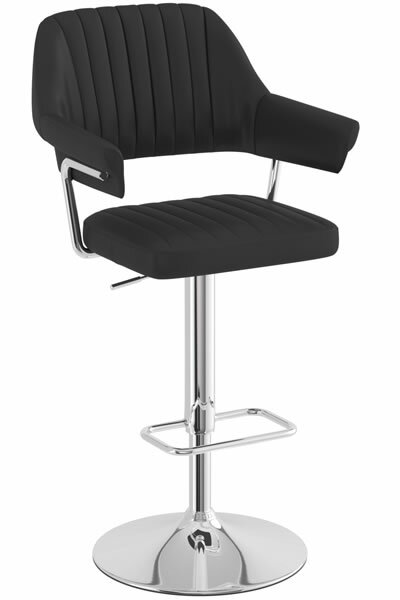 The frame is made up of four legs giving you a very stable seat, whilst the footrest mean you don’t need to compromise comfort for design. 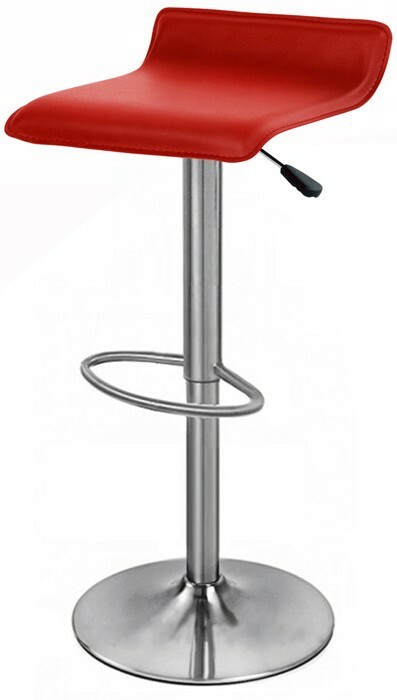 Each leg is finished with a plastic floor protector. 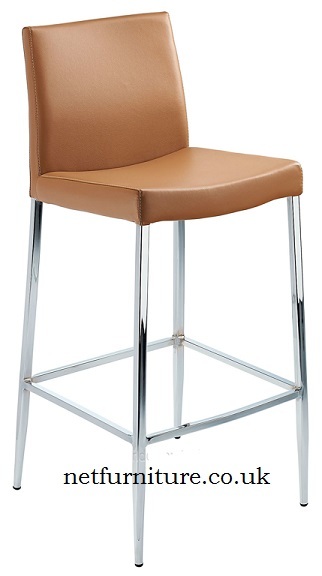 The elson has an ergonomic seat top with rounded corners that comes in a lovely natural wood finish which compliments the beautiful copper metal framework to create a beautiful fresh look.